‘Laissez les bons temps rouler’ or ‘let the good times roll’ is a common saying in this fine and vibrant city. New Orleans is as soulful and elegant as it ever was, a mainstay of Southern American culture and a resilient city after the devastation left by hurricane Katrina. Make sure you book cheap flights to new orleans this year. New Orleans is known as the birthplace of jazz. It has a French colonial elegance and sophistication, plus African American energy and intensity that creates something greater than the sum of its parts. All of this heady mix has combined to inspire a raft of writers, artists, musicians and some delicate and pretty architecture as well. 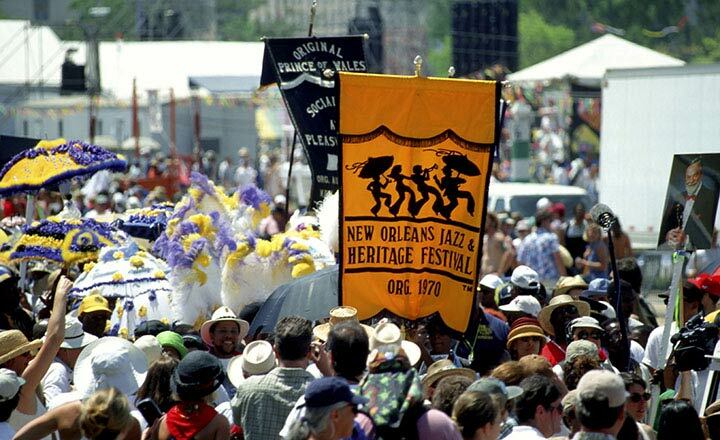 To get a giant injection of jazz goodness check out this year’s New Orleans Jazz and Heritage Festival on April 27th to 29th and May 3rd to 6th, 2012. Not content with limiting itself to jazz – the entire back catalogue from the dusty shelves of rock n’roll history will be there combined with a selection of great modern artists including Foo Fighters, Florence and The Machine and Bon Iver. Jazz lovers can enjoy offerings by George French and the New Orleans Storyville Jazz Band, among others. New Orleans has been the American capital of opera since the 17th century. Even when the Opera House burnt down in 1919, the show still went on in other places. The city and the opera triumphed once more. Featured on the bill in the next few months are Pagliacci and Carmina Burana plus an Opera Ball in May, which will be held at the magnificent Empire Ballroom taking people back to the streets of Russia during 1800. For festival goers or casual explorers, this city offers a range of wonderful experiences for every budget, now is a great time for an adventure in New Orleans!